Back in Spring 2018, Borderlands: Game of the Year Edition surfaced on the Korean Ratings Board. These kinds of leaks often predate official announcements, but that was the last we’d heard about Borderlands: Game of the Year Edition until January 7, 2019. Reported by Gematsu, Borderlands: Game of the Year Edition was rated by the Taiwan Digital Game Rating Committee for the PlayStation 4 and Xbox One. The post also listed Blind Squirrel as the developer. Nothing is official until the release of this game has been publicly confirmed, but ratings board news always keeps the rumor mill going. And it would make sense for a revamped Borderlands to appear on the PlayStation 4. The console already has a remaster of Borderlands 2 and Borderlands: The Pre-Sequel, thanks to Borderlands: The Handsome Collection. 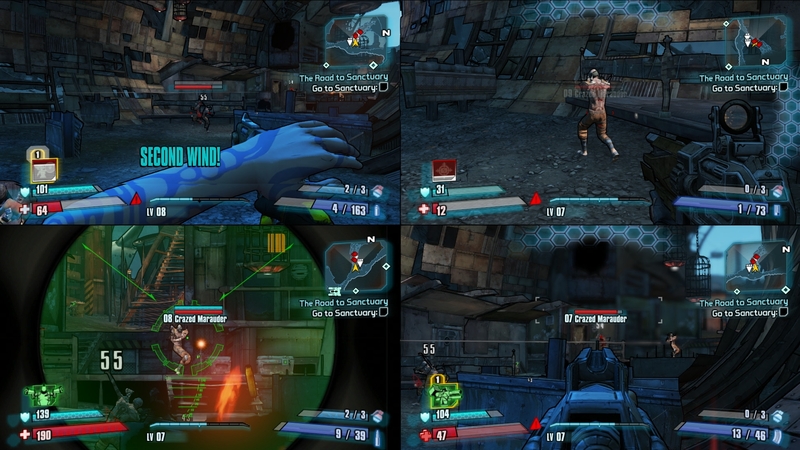 Many fans have been anticipating Borderlands 3 and, with the recent release of Borderlands 2 VR, this seems like an optimal of time to keep the franchise name fresh on people’s minds with a remaster of the original game. While Borderlands 3 is a question of when, rather than if, the game’s absence at E3 2018 and The Game Awards 2018 makes it feel farther away than ever. Hopefully Borderlands: Game of the Year Edition turns out to be true, so it can tide fans over for a bit. Would you pick up a remaster of the original Borderlands? Or are you over remaster culture and waiting for something new? Let us know in the comments below.